Without further ado, let's dive into my May Wrap-Up! Note: This book technically overlapped April and May for me - so I’m going to include it here, because this one is worth another reminder of just how fantastic it is! There’s nothing more exciting to me as a reader than exploring books from countries other than my own. CBTB readers will know how much I love translated crime fiction, from Nordic Noir (Jo Nesbo, Lars Kepler, Yrsa Sigurdardottir, Ragnar Jonasson… I could go on and on!) to French crime fiction (Pierre Lemaitre being my personal favorite) and many more. Imagine my excitement, then, when I discovered that South Korea’s foremost writer of psychological thrillers, You-jeong Jeong, was finally being translated into English. 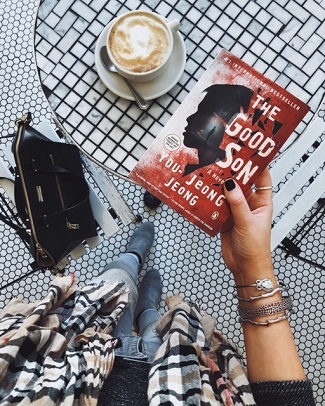 THE GOOD SON is the first of Jeong’s books to be made available to English-speaking audiences—and it’s a must-read, plain and simple. With harrowing precision and unflinching bluntness, Jeong draws readers into the mind of her tormented main character, Yu-jin - a young man with a faulty memory and some very dark secrets. THE GOOD SON will shock with blood and guts as much as it will delight with originality and unpredictability. In Jeong’s masterful hands, this story of memory loss and familial secrets is nothing short of spectacular. All I can hope for (beyond my hope that you pick up a copy of this book upon its release) is that more of Jeong’s work will be translated into English as soon as possible -- I, for one, will be waiting! With all the brand-new (and very enticing!) books releasing every week, it can feel really hard to make time to catch up on the slightly older books you may have missed when they first came out—but today’s post is evidence that pressing pause on the new releases can be such a rewarding exercise. THE DYING DETECTIVE by Leif GW Persson released in hardcover in the spring of 2017… and who knows how I missed out on reading it then, but I’m so glad it caught my eye in paperback. This masterful police procedural is a worthy addition to every Nordic Noir reader’s personal library, but don’t just take my word for it: this book has been the recipient of a stunning number of crime writing awards, including the Crime Writers’ Association’s International Dagger Award, The Glass Key Award for Best Scandinavian Crime Novel, The Swedish Academy of Crime Writers’ Award, and a whole lot more—and it’s every bit deserving of this extensive critical acclaim. Persson’s layered, methodical crime novel recalls the best of classic crime fiction. There aren’t any bells or whistles here, just solid, meticulous crime solving at the hands of a brilliant police officer. But lest readers feel lulled into a sense of familiarity with this book’s standard procedural plot, Persson injects his story with an urgent dose of humanity: perhaps even more alarming than the brutal crime central to this book is our protagonist's confrontation with his own mortality. THE DYING DETECTIVE will be an instant-favorite for fans of the slow-burning yet irresistibly immersive crime novel. It’s been quite a while since I discovered a new-to-me crime series I love as much as Dot Hutchison’s Collector Trilogy. Comprised of THE BUTTERFLY GARDEN, THE ROSES OF MAY, and THE SUMMER CHILDREN, the Collector Trilogy delivers character-driven, often quite gruesome, totally addictive suspense—and perhaps best of all, each book within the trilogy retains a style and tone unique unto itself. THE SUMMER CHILDREN rounds out this trilogy in top form; readers might remember that I had mixed feelings about the trilogy’s second installment, THE ROSES OF MAY, but never fear—Hutchison more than lived up to my expectations with her slam-dunk of a series finale. This is a far cry from your standard serial killer thriller, but fans of the genre will find much to love in Hutchison’s binge-worthy and emotional THE SUMMER CHILDREN. A disturbing plot, a strong female lead, page-turning writing… THE SUMMER CHILDREN is a knockout. Emelie Schepp has made a name for herself in Sweden with the breakout success of her Jana Berzelius books - and this spring, her newest US release will hit shelves. SLOWLY WE DIE reads more like a medical thriller (think Patricia Cornwell or Tess Gerritsen) than your standard Nordic Noir, and it’s all the better for this change in tone. Don’t misunderstand: I absolutely love a more standard Nordic crime novel (in fact, it’s my favorite kind of book! ), but Schepp’s writing style is best suited to the kind of breezy, less-dense crime writing on display here. This won’t be the right choice for readers looking for a methodical, gritty crime novel, but it will work well for readers who just want to be swept up in lighter suspense and a chilling medical thriller plot. Remember my term “popcorn reading,” aka a book that’s lighter in substance but just plain fun to devour? SLOWLY WE DIE is a Nordic version of that. In SLOWLY WE DIE, readers follow prosecutor Jana Berzelius as she is tasked with investigating a series of brutal crimes rocking the medical community in her town - but it quickly becomes clear these crimes have deep ties to Jana’s own past, too. 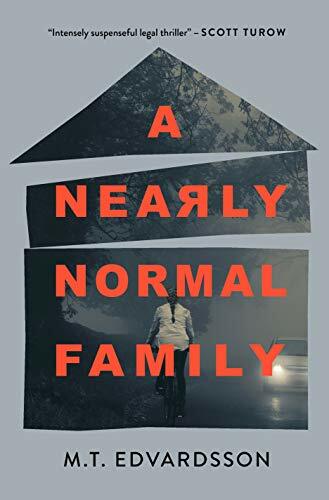 Show me a psychological suspense novel called “Hitchcockian” and “modern domestic noir” and it’s pretty much a given that this book is something I’ve got to check out. Louise Voss’ newest release THE OLD YOU, then, promised to tick all the boxes I look for in a story of psychological suspense: rich character development, Hitchcockian undertones, and a healthy dose of hidden interpersonal secrets. Voss has written a page-turning story that keeps the reader constantly wrong-footed, unraveling deceit after deceit in a relationship over the book’s 300-odd pages. While I had hoped for a bit more darkness and tension in THE OLD YOU, this book is an undeniable binge-read—and it’s one that will work quite well for readers looking for lighter, more subtle suspense to add to their summer reading list. If you’re in the market for blow-your-mind twists, this book won’t be the right choice for you; if, instead, you’re willing to go along for the ride as author Voss draws you into a marriage with many, many secrets to hide, THE OLD YOU will be a strong contender for a summer weekend binge-read. 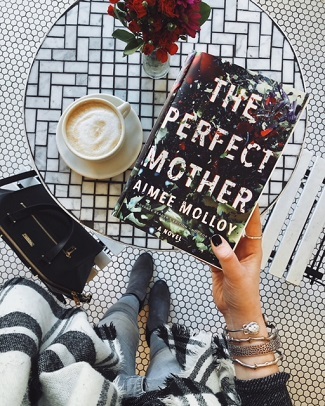 Have you checked out my list of May Recommended Releases yet? If not, you can find it here!